John from Cape May, New Jersey knew exactly when to hold them and fold them. On August 27, he bet $10.00 on the Game King Double Double Bonus Poker video poker game and won $8,000.00. 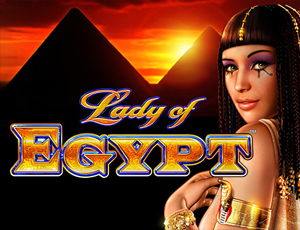 On August 30, Jennifer from North Bergen, New Jersey won $4,045.00 on the Lady of Egypt slot game on a $7.00 bet. Congrats to Susan from Hammonton, New Jersey on winning enough cash for several incredible nights out. On September 1, she won $3,063.00 on a $1.50 bet playing the Lock It Link Nightlife slot game. The Sunday $35K Guarantee title on August 26th went to alwaysliquid, who took it down for $6,265. Online poker players thekid32 ($3,150) finished in 4th and pure_reason ($2,695) left the table in 5th. Ruby__ ($3,079), trojans7389 ($2,679), Donate_here ($2,622), Flawlessbinkage ($2,377), Flawlessbinkage ($2,181) and jqbpk772 ($2,005) were the big 1st and 2nd place winners in this week’s $10k and $8k Guarantees. Another victory for Flawlessbinkage, this time in the Mega $535 Tuesday $12k Guarantee for $7,525. A special nod to Gags30 ($5,375), who took 2nd. And in the $320 Mega Thursday $7,500 Guarantee, Donate_here represented BorgataPoker.com at the final table with a 3rd place finish for $1,632. It’s now in full swing and playing in real money poker tourneys is your ticket onto it. At stake? $11,000 in prizes. Go.